10 Minutes to the City of Cape Town. 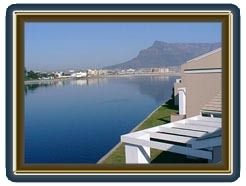 Here at Woodbridge Island, you can enjoy a unique and tranquil lifestyle in one of the undisputedly most beautiful settings in the world, set against the impressive backdrop of Table Mountain and the Atlantic Ocean. Set between the ocean and the Milnerton lagoon, this is a paradise for beach lovers, boating enthusiasts and bird watchers. For the sportsmen there is an 18-hole championship links golf course plus a surf-lifesaving club, canoe club and a bowling club. For the not so energetic there is a choice of two restaurants and also the Golf Club social bar, all within walking distance. 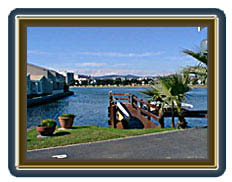 Woodbridge Island is surrounded by the sea and lagoon with white sea sands and the Atlantic Ocean on the famous Milnerton coast which is renowned for safe bathing, great surfing, wreck diving (the Bay is scattered with old wrecks), wind/kite surfing and long safe beach walks plus superb mountain views. Or perhaps your choice of a home around the landscaped water-featured koi pond would suit your lifestyle. Experience fish leaping out of the water, Herons, Duikers or a Kingfisher dive bombing the water for the last morsel of the day. As dusk falls, the fairy tale magic of the twinkling lights are mirrored deep into the dark blue waters of this nature conservation area. There is only one disadvantage to this idyllic scenario; you will never again be able to settle down between four walls in a humdrum suburb again! Woodbridge Island was established in 1988. The lagoon was dredged and excavated and the banks securely concreted before construction. Because of the high degree of expertise exercised in the creation of the lagoon, there are no marshy areas and no fear of rising damp. The water level is controlled at the lagoon mouth and the properties are built 1.5 meters higher than the 50-year flood line; therefore the possibility of flooding is eliminated. Because of the inflow of sea water at high tide, this water is salty and therefore not conducive to mosquito breeding. The proximity of the sea has a balancing effect. In the summer the temperatures are pleasantly less than that in the sweltering city, due to the cool sea breezes and our "South-Easter" winds. In the winter the rain is considerably less than in other parts of the Peninsula. The climate at Woodbridge Island is quite clearly marked by a lack of extremes. Security of residents is a non-negotiable factor at Woodbridge Island. Access is controlled by a barrier at the guardhouse which is manned 24 hours a day. Residents have their own entrance discs, guests have to sign in and give details of whom they are visiting. There are security guards that patrol the Island night and day, seven days a week. The Island is surrounded by sea, golf course and lagoon and there is only one road out. Woodbridge Island is known to have the lowest crime rate in the Cape. 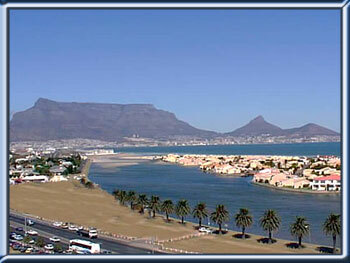 The Island is within walking distance of Centre Point shopping centre and Milnerton Mall, Primary and High Schools, etc. The City Centre is only 10 minutes away and close by is the largest shopping centre in the Southern Hemisphere, namely Canal Walk, as well as Ratanga Junction theme park. Along the West Coast to the Bloubergstrand beachfront, there are more than ample restaurants, bars, shopping complexes, etc. plus superb beaches. Now is the time to invest in the West Coast or the Gold Coast as it is sometimes referred to. 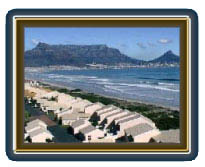 Adjacent to Woodbridge Island is the 18 hole Milnerton Links Golf Course, with a very upmarket Golf Estate on its grounds, as well as the upmarket suburb of Sunset Beach close by. Dogs and cats are allowed but must not cause a nuisance to the neighbours. The Body Corporate rules give clear instructions on all aspects of living on Woodbridge Island. 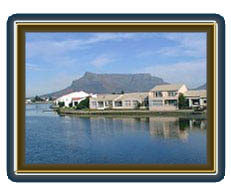 Property on Woodbridge Island is undoubtedly one of the better property investments anyone can make in the Cape. Visit the website at the above address or give George Doré, your resident agent, a call today for a great property deal. Looking for property to buy or rent in Woodbridge Island or wanting to sell property in Woodbridge Island? Please feel free to complete the form below with your property requirements and you will be contacted shortly.